Kastle Garage Doors have been in Whirlow, Sheffield installing an Automatic Double Up and Over Garadge Door. Looking for garage Door Installers in Sheffield? Contact us today for a Free No obligation Quotation! An expert installation of this stylish five meter insulated steel sectional Garage Door in Worral, Sheffield. The doors are finished in smooth black powder coating. ​If you like the look of our work please feel free to get in touch! Are you looking for an Automatic Insulated Roller Door Installed in Sheffield? Contact us today for a Free No obligation Quotation! 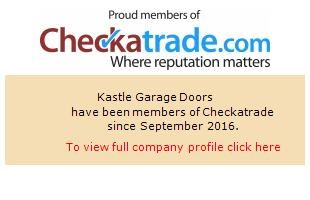 Welcome to the Kastle Garage Doors Latest News Page. Here you find all our latest Garage Door Installations in Sheffield, Offers and Promotions.